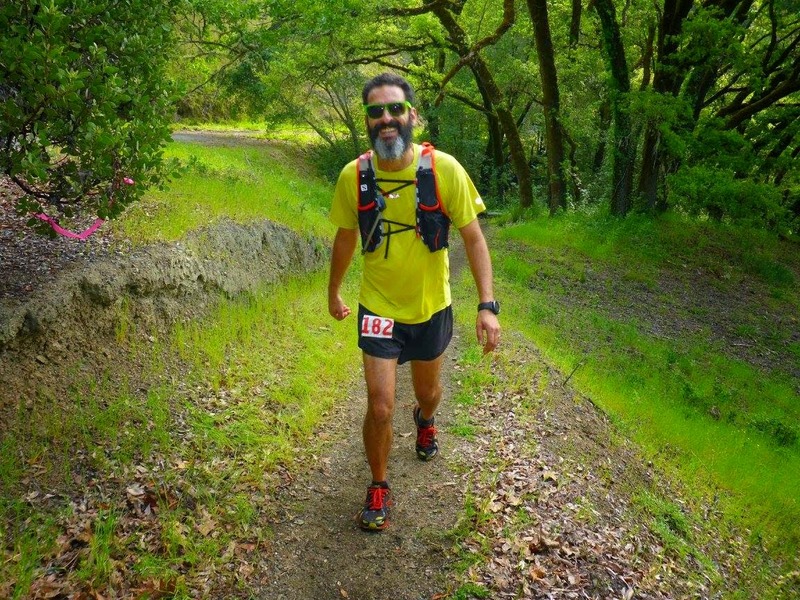 On Saturday, April 11, I ran the eight annual Lake Sonoma 50 Mile endurance run. 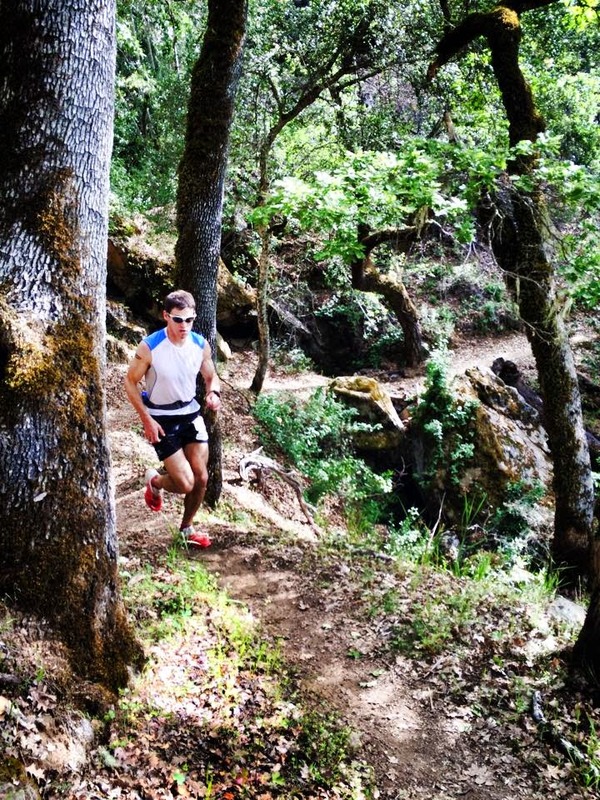 It is a fairly young race, but has grown wildly in popularity and attracts some of the fastest trail runners in North America, if not the world. 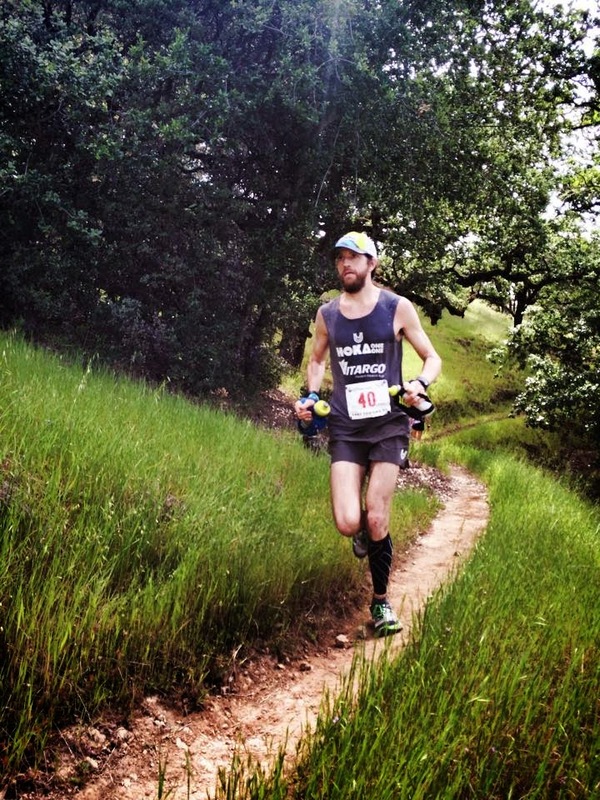 As part of the Montrail Ultra Cup Series, the top two finishers are awarded spots in the 2015 Western States 100 Mile run. The field was stacked, with maybe 20-30 registered runners (male & female) capable of winning the race. 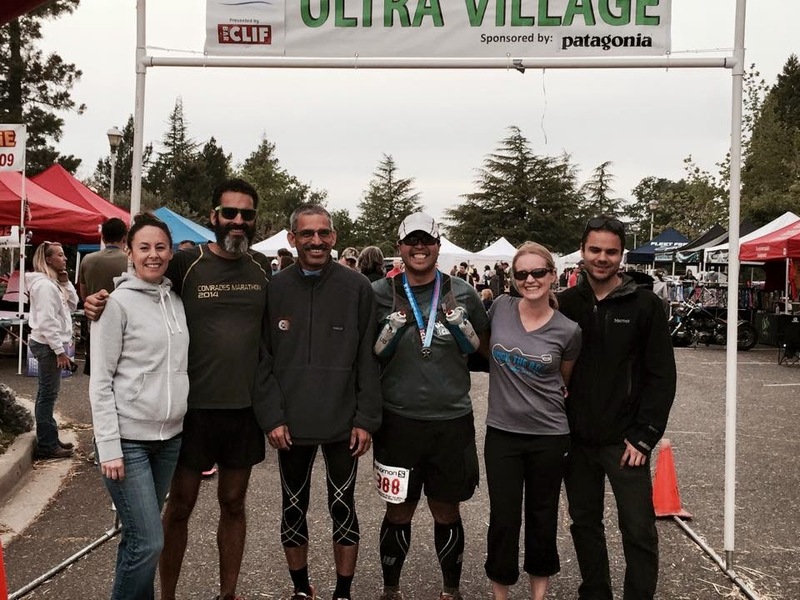 My goals were to finish, get a (very) long training run in for my Miwok 100k, and enjoy the event and course as much as possible. 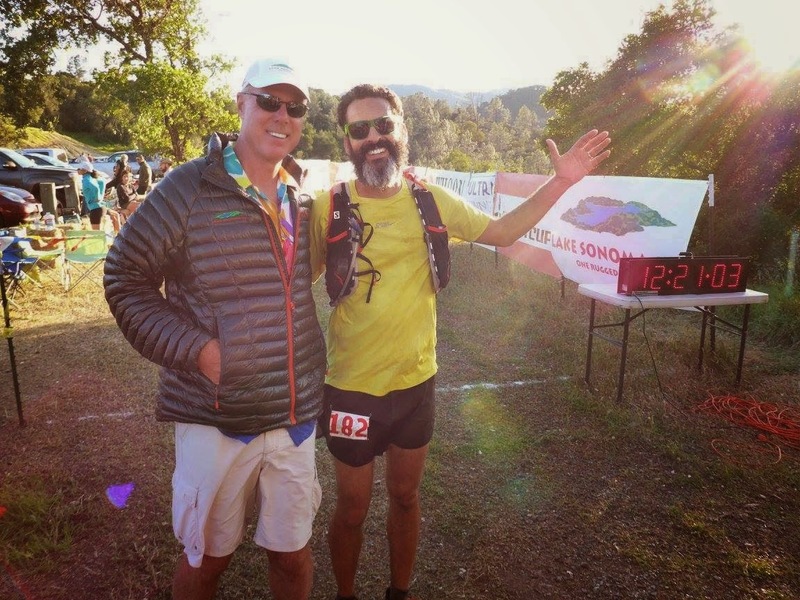 I was also quite interested in winning Montrail's "Last Chance Promo", which selected one runner to run the 2015 Western States 100 (from a pool of runners who finished Lake Sonoma 50 and had qualified for the 2015 Western States 100, but not been picked in the most recent lottery). 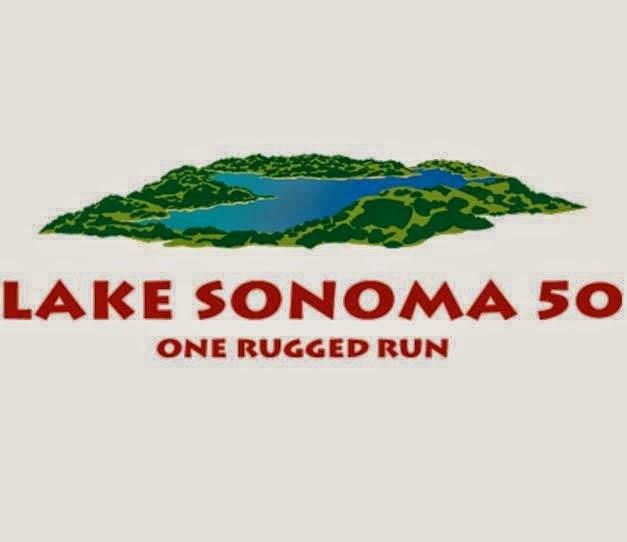 I'll save you the suspense... the runner was selected roughly one week after the LS50 race, and it was not me. At 6:30 AM, about 350 of us headed for the trails, which I had been told, and soon learned for myself to be beautiful. 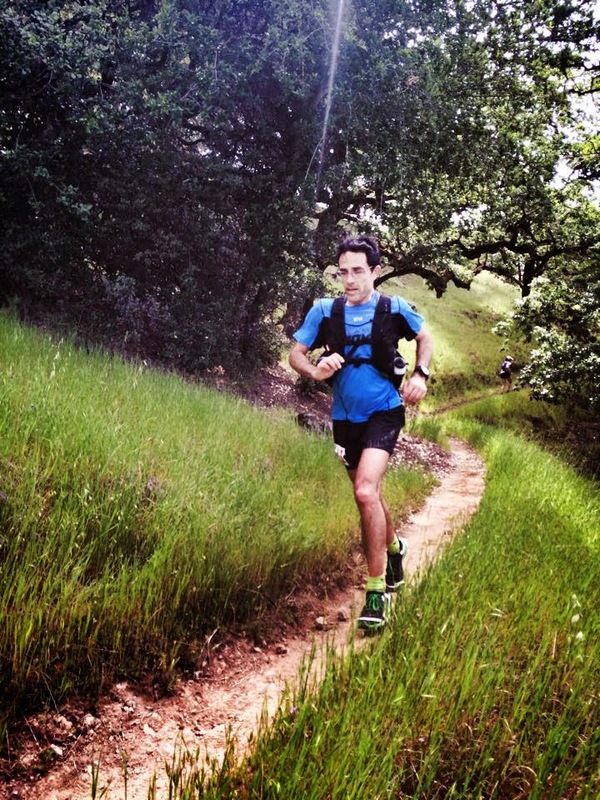 Running gently and comfortably, towards the back of the pack, I took in the sights. LS50 is an out and back course, so I had been looking forward to seeing the top runners cruising back while I was heading out. 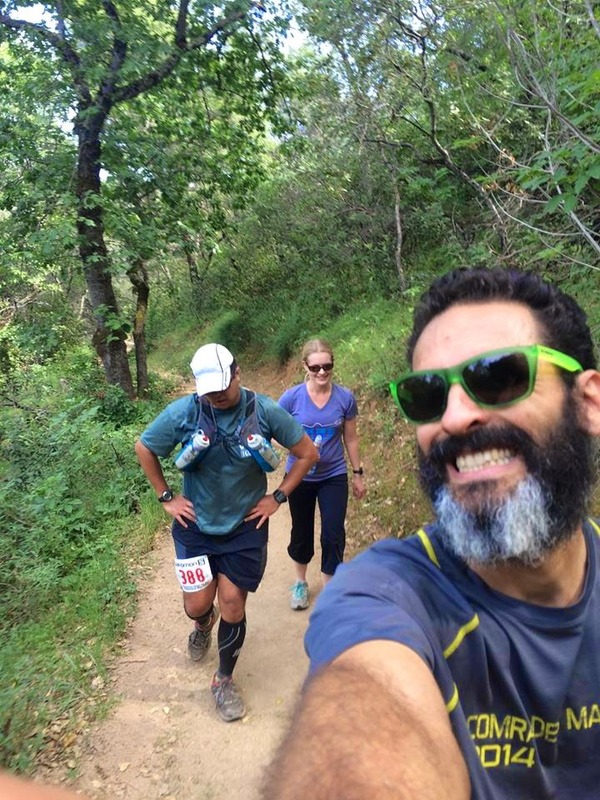 I was feeling great and made sure to hop off the trail and encourage every runner I saw on their return trip. I also snapped a few pics of some of my fav's/buddies. 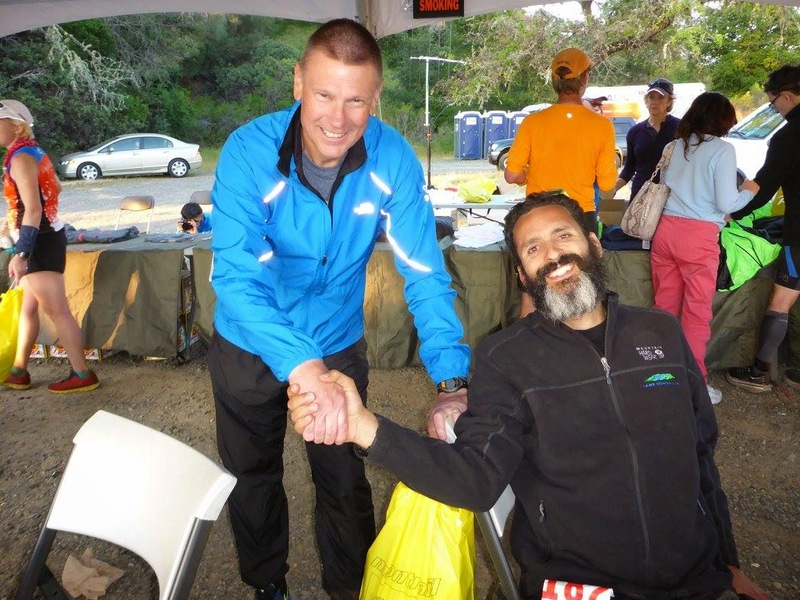 During an ultra I occasionally, if not continually, take stock of the feedback I'm getting from my body and try my best to translate that information into what my needs are. For example, certain aches and pains might indicate pacing adjustments are needed; lethargy, cramping, tightness, or nausea might indicate I'm needing certain fluids or foods to keep me going. Throughout the day, all systems were go. I was feeling fine, enjoying the course and company, and just kept plodding along. I was excited to arrive at the turnaround (halfway) point. 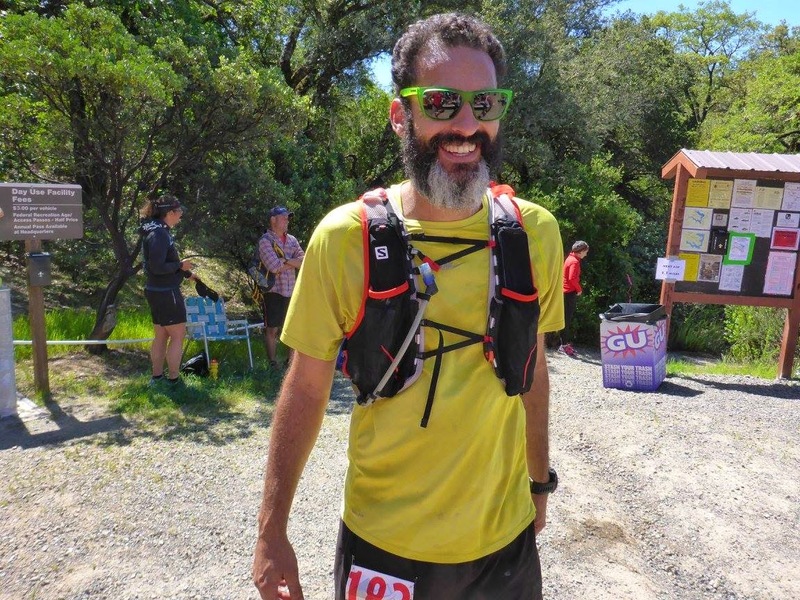 I received lots of smiles and encouragement from friends and dug into my drop bag where I loaded up on some calories, in the form of three 11 oz Svelte protein shakes and a Tahoe Trail Bar. The distance I had traveled thus far (25 miles), felt long, and I was eager to head back to the start/finish. Out of the aid station, on to the finish I went. The second half of my run was largely uneventful. Considering the number of miles I had covered, I was feeling great. I no acute pains, no nausea, it was hot, but bearable. 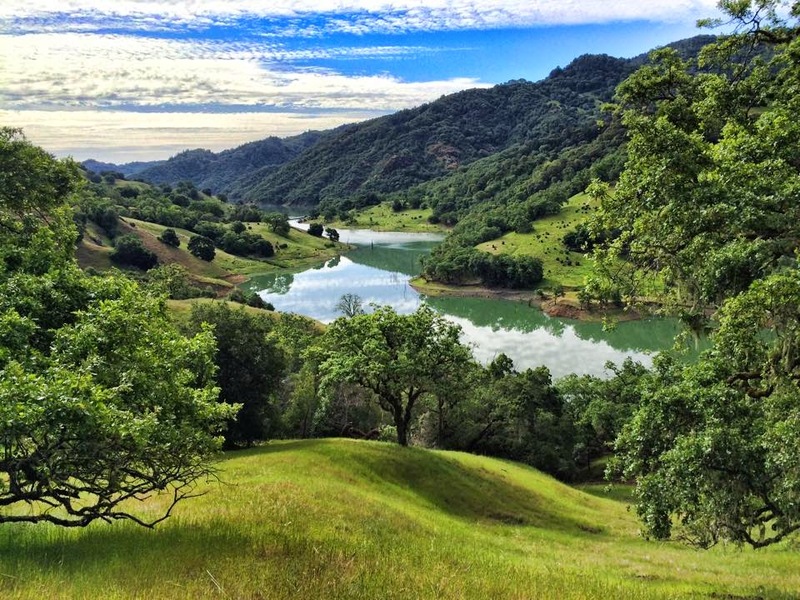 I meandered along the trail, rising and falling with the mountains that cradled the lake. 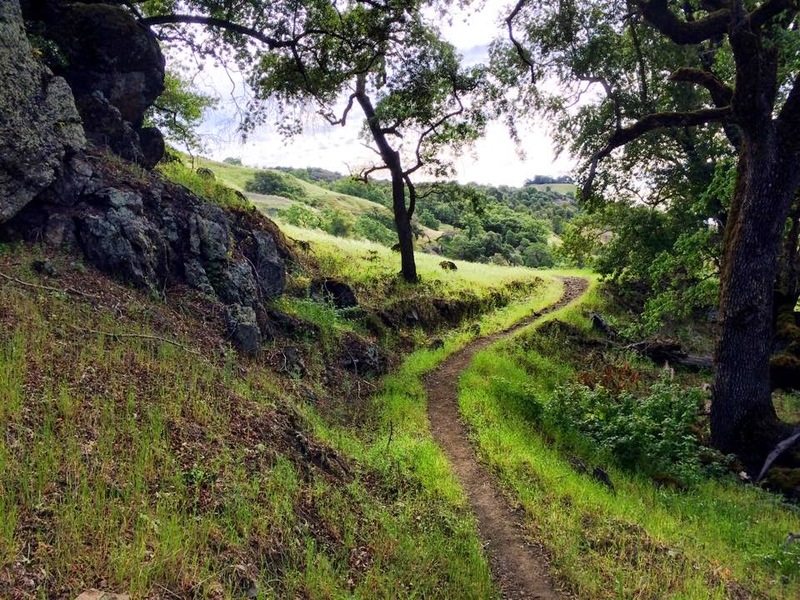 I chatted with some new friends, I saw a deer, I nearly stepped on a rattlesnake's tail as it finished crossing the trail (this wasn't a frightening experience, mayyybe a bit of a close call, but neither of us became startled), and I enjoyed the view. With 15 miles to go, I was pretty much ready to be done running. Fortunately I was still feeling well. I was running pretty strong on the flat and downhill stretches and made no attempt to do anything but hike on anything but the most gentle uphill sections. With 6-7 miles to go, my energy levels were really tanking. I had been on the trail for over 10 hours and had climbed thousands of feet. 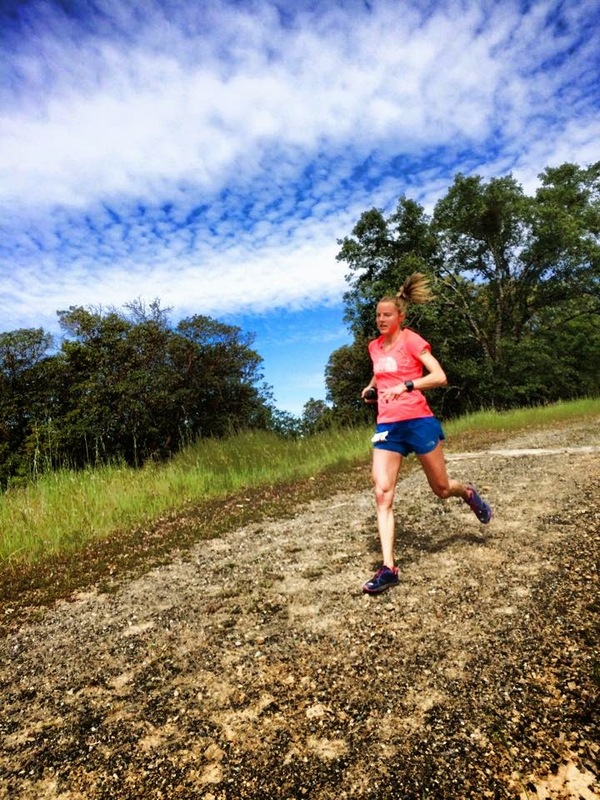 I started to break the rest of the course down into miles... and tenths of miles, congratulating myself for all progress, no matter how small. And then, almost suddenly, as happens with events like this, the finish line came into view. Those last miles that seemingly would never pass, in fact did. Just as I had imagine I would, I cruised down the finishers chute and it was over. 50 miles in the books. Incredible course, atmosphere, and a very well organized race. 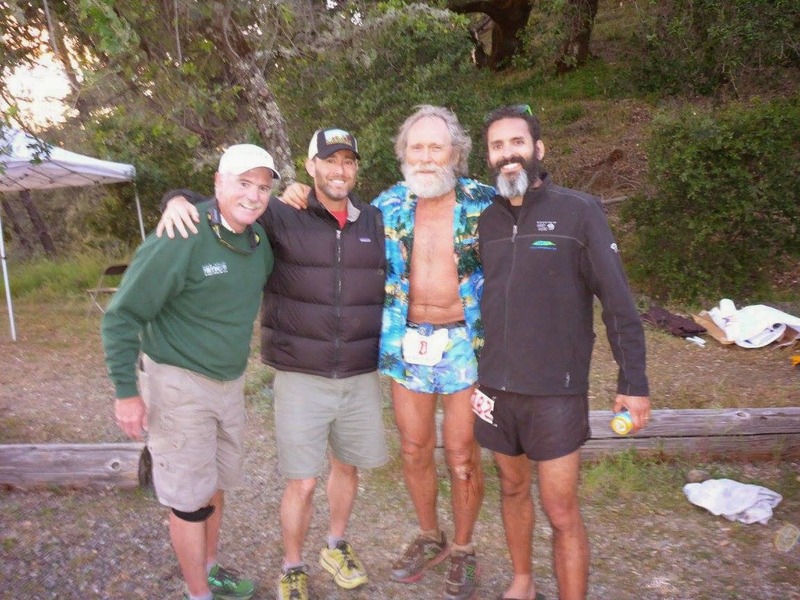 Jim, Chris Jones, WS100 Founder Gordy Ansleigh, and myself. James and I leap frogged each other all day, finished within 2 minutes of each other, and were both happy to have our finisher's jackets.